There are several cardinal rules to negotiating effectively. We will coach you on this if you would like us to. Don't let yourself get rushed into any decision, no matter how tempting it may be. Finally, if you have doubts about your negotiating skill, hire us, The David Team, as your agent to assist you. 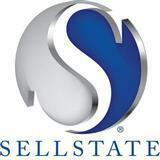 The Seller pays our commission through the sellers listing broker. Most offers include two standard contingencies: a financing contingency, which makes the sale dependent on the buyers' ability to obtain a loan commitment from a lender, and an inspection contingency, which allows buyers to have professionals inspect the property to their satisfaction. Ask us to explain the general provisions of the offer, and remember you can always be represented by an attorney of your choice. It's very important to price your home according to current market conditions. You can research this data and confirm the data we provide you. There is NO "best" time to sell per se. Selling a house depends on supply, demand and other economic factors. But the time of year in which you choose to sell can make a difference both in the amount of time it takes to sell your home and in the ultimate selling price. Weather conditions are less of a consideration in more temperate climates, such as Florida, but most of the time, the real estate market picks up as early as February, with the strongest selling season usually lasting through May and June, to allow children to register for the upcoming school term. With the onset of summer, the market slows. July is often the slowest month for real estate sales due to a strong spring market putting possible upward pressure on interest rates. Also, many prospective home buyers and their agents take vacations during mid-summer. Following the summer slowdown, real estate sales activity tends to pick up for a second, although less vigorous, fall market, which usually lasts into November when the market slows again as buyers and sellers turn their attention to the holidays. If this makes you wonder if you should take your home off the market for the holidays, consider the advice of veteran agents: You are always more likely to sell your house if it is available to show to prospective buyers continuously. You can negotiate a closing date in your contract for late January or early February closing after the Holidays.